Handling state in single-page apps can be a tricky process, especially as an application gets larger and more complex. In this tutorial, you’ll discover how Vuex, Vue’s state management solution, simplifies state management. 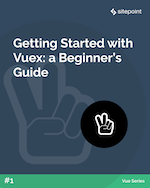 Read Getting Started with Vuex: a Beginner’s Guide. In this tutorial, we’ll introduce you to the latest version of Vue CLI, the command-line utility that allows you to choose from a range of build tools, which it will then install and configure for you. We’ll demonstrate how to install Vue CLI and how to create, serve and build an example project. 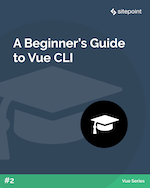 Read A Beginner’s Guide to Vue CLI. Build, design and launch professional websites with Squarespace quickly, without needing to learn any code. Discover time-saving tricks and best practices to avoid common pitfalls. And understand how to monitor, measure, and manage your site after launching it. This book is part of a new partnership with Packt, which will allow you to read a range of Packt titles within our next-gen reader experience. 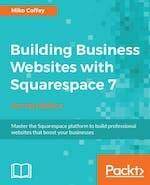 Read Building Business Websites with Squarespace 7. If you’re curious about SitePoint Premium or have been on the fence about joining, you can now check out our entire library for free for 7 days! Go on, take it for a spin! Learn how to apply psychological theory to solve your design problems – from better understanding your users, to effectively communicating your design ideas. Increase the power of your commands using Bash shell scripts. Implement automation, interactive system administration, filtering and transforming text input and much more. Read Bash Quick Start Guide. Take your project deployment speed and reliability to a new level by using one of the world’s most popular continuous delivery systems. Read Continuous Delivery with Docker and Jenkins. Build feature-rich, reliable Android Pie apps with the help of more than 100 proven industry standard recipes and strategies. You’ll find solutions for working with the user interfaces, multitouch gestures, location awareness, web services, and much more! Read Android 9 Development Cookbook.